Note: I typically write individual reviews for products that are sold separately, but I feel strongly that webbing straps should be included with a hammock. Rallt was kind enough to send a strap set with the hammock so I am reviewing them together, even though they are sold separately. 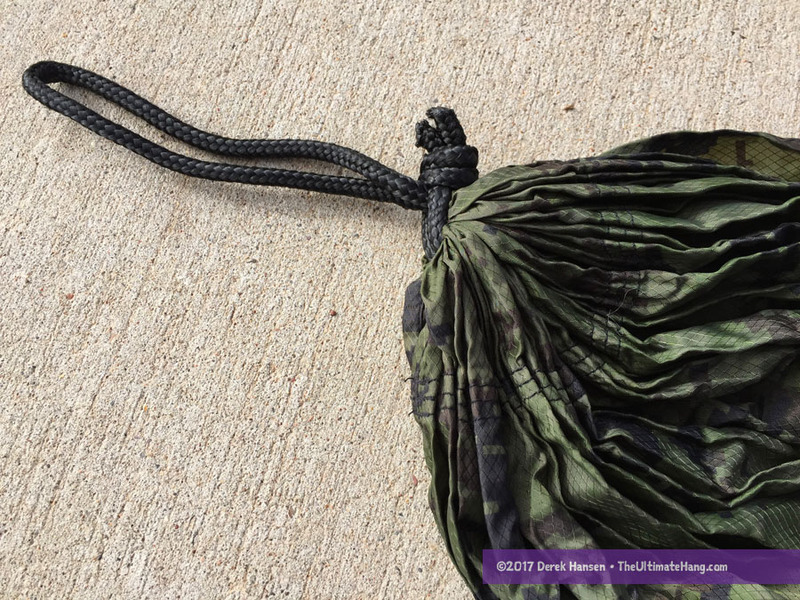 The Rallt Digital Camo Hammock is an open, gathered-end style hammock that includes a pair if wiregate carabiners and rope end loops. The hammock is constructed with a single panel of diamond-ripstop fabric. An attached stuff sack has a compression strap and buckle lock. 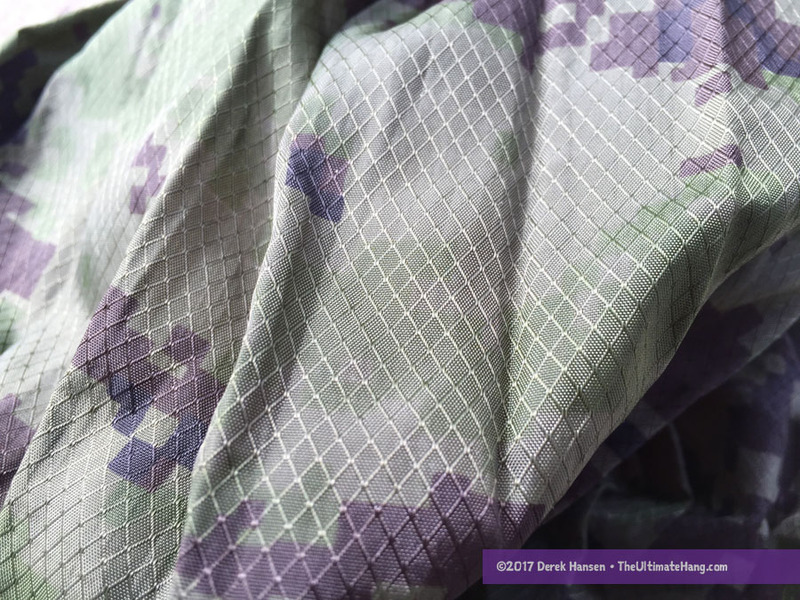 The digital camouflage pattern is on both sides of the fabric. 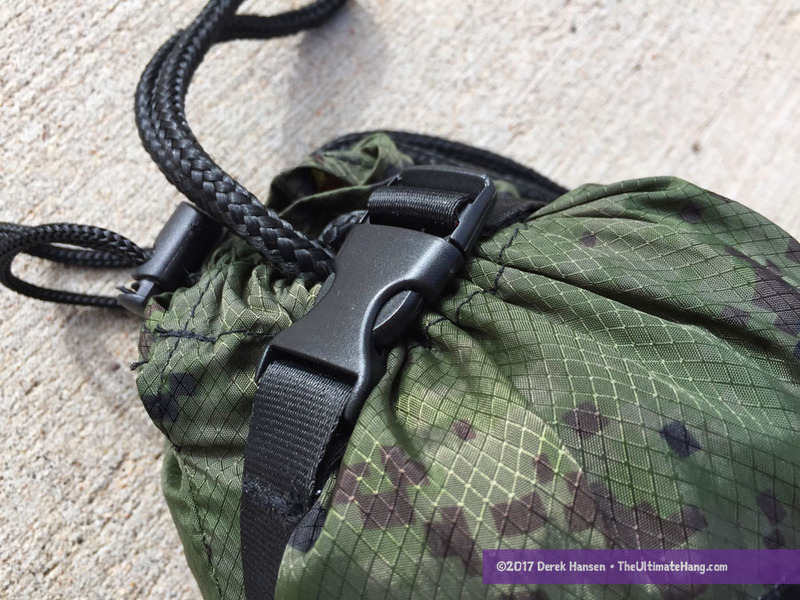 The Rallt Ultralight Hammock Straps are 10 feet long and are made from 0.75-inch tubular webbing and formed in a daisy chain style with 18 connector loops. 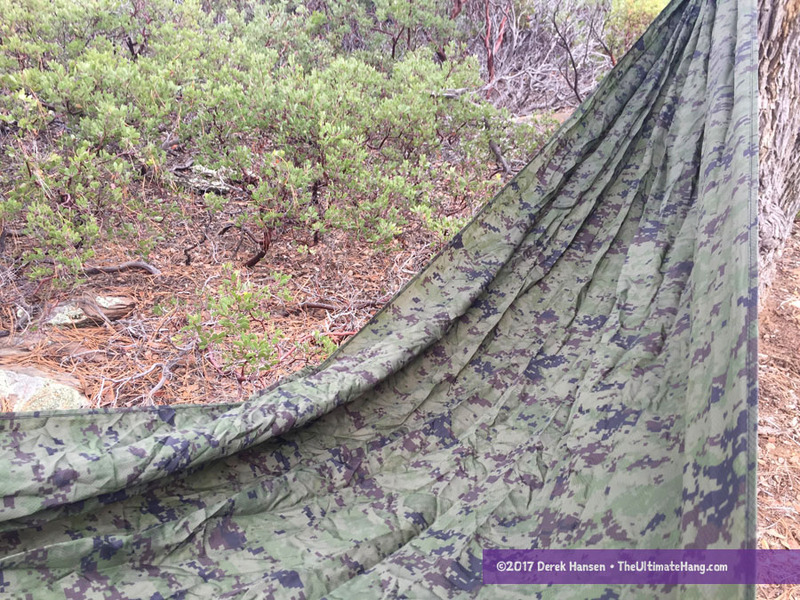 Rallt is a fairly new hammock vendor and yet I was pleasantly surprised when I received their Digital Camo Hammock. The single panel design is my own personal preference because it doesn’t have seams running along the bed that can be uncomfortable. Beyond that, for a so-called “single” design, the hammock is generously proportioned, with the length of 117 inches, it is just shy of 10 feet, a standard for most “double” hammocks. Rallt lists the hammock as a full 10 feet long, which can be an acceptable variation for manufacturing. The diamond-ripstop fabric is nice, and it is being used in a lot of other hammocks I’ve seen in the market recently, including Tribe Provisions, Chill Gorilla, and others. It’s a nice change from the common “parachute” crinkle taffeta fabric seen in hammocks like ENO. I’ll admit that I spent a few weeks enjoying the comfort of this hammock in my bedroom. When hung with a good sag, it provided an excellent lay. I also am impressed that the printing and pattern is visible on both sides of the fabric for a much higher-quality appearance. The weight is really good at just 13.5 ounces, which can be further reduced by replacing the end rope loops for lightweight Dyneema cordage. I love how small the hammock can pack down. For it’s size, price, and weight, I feel this hammock is an excellent value and a great choice for the base of a modular camping system. 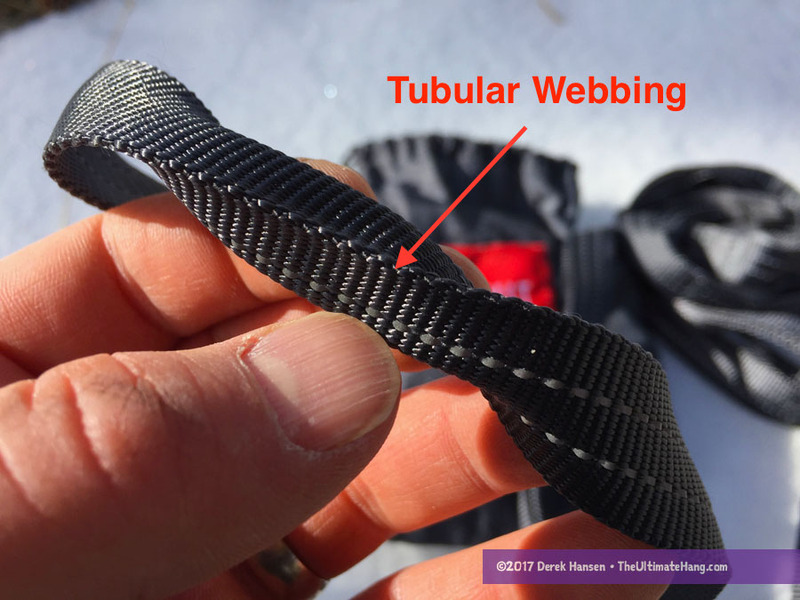 Their Ultralight Webbing Straps have a striking resemblance to the Kammok Phython straps, down to the coloring, finish, and packaging. 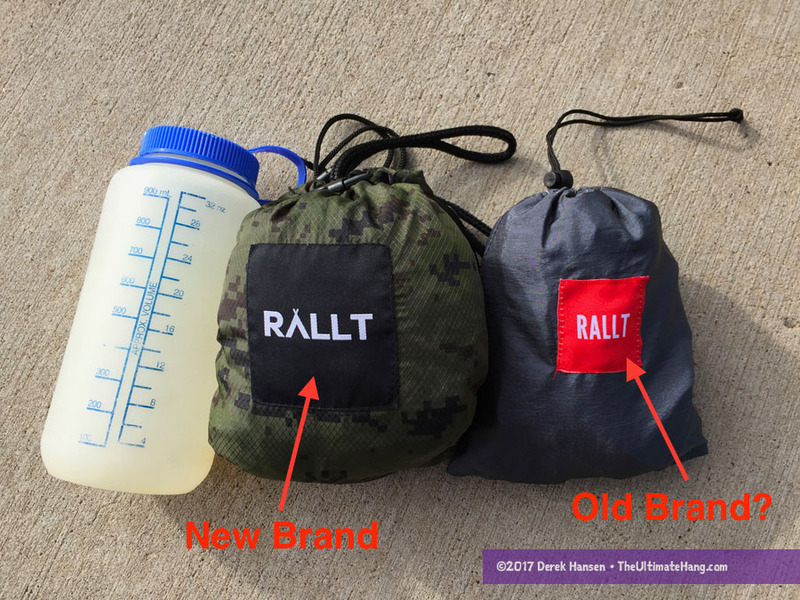 Rallt is aware of the similarity and said it is an oversight they are working to fix (the mis-match of the branding between their own products is indicative of their new business). 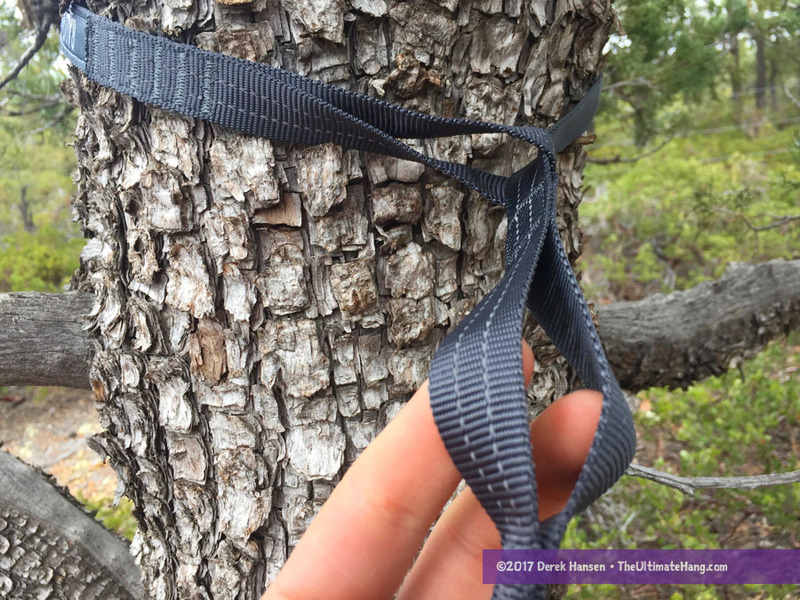 The attention to detail isn’t at the same quality standard as Kammok, but the materials and weight rating and similar. Like Kammok, the straps aren’t as wide as I would recommend; however, I am impressed that Rallt used the same weight rating standard on the straps as they did for the hammock. Most vendors tend to downgrade the hammock rating and show the working load limit yet show the breaking strength of the straps. 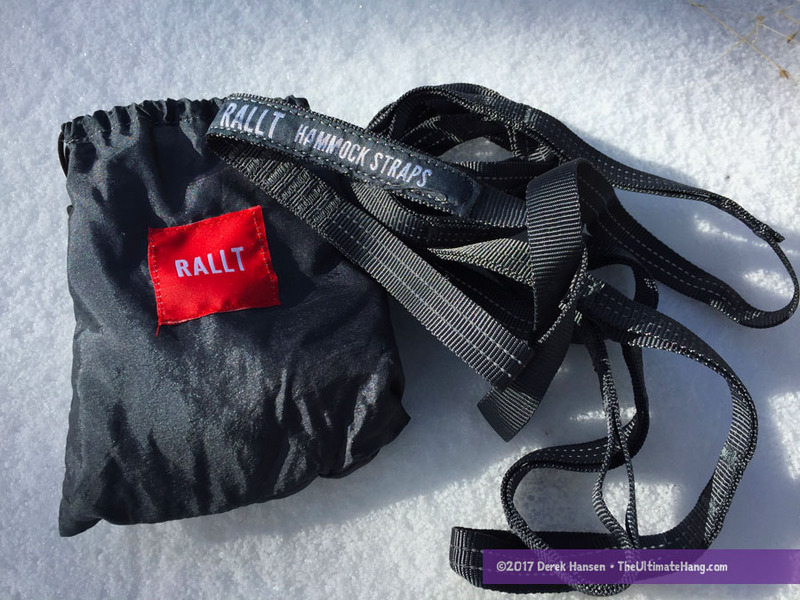 In contrast, Rallt shows the safe working load limit for both the hammock and strap, which I feel is a better way to be consistent and aid consumers. Suspension and Anchor System ♥ ♥ ♥ ♥ ♥ While the daisy chain suspension is good, it isn’t included by default with the hammock. Construction and Craftsmanship ♥ ♥ ♥ ♥ ♥ Good construction. No loose threads, but the branding is mis-matched. Modularity ♥ ♥ ♥ ♥ ♥ An open, gathered-end hammock is the backbone of a modular hammock system. Very versatile. Aesthetics ♥ ♥ ♥ ♥ ♥ While bright colors show better on photos, I prefer muted colors and even camo on occasion because I prefer to follow LNT guidelines and stealth it. Price and Value ♥ ♥ ♥ ♥ ♥ Both the hammock and strap can be found on discount vendors for a great price.